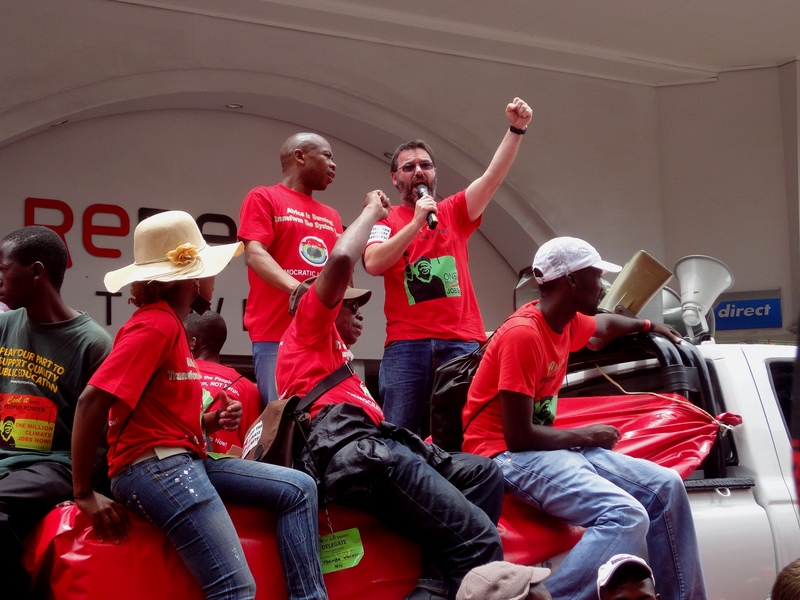 The convergence of social, economic and ecological crises in South Africa takes a uniquely toxic form because of the legacy of Apartheid and the economic dominance of what has been termed the “minerals-energy complex” (MEC): a system of accumulation that has shaped the South African economy into being extremely “extractivist” in nature and carbon intensive. A handful of corporations, located in the minerals, ferrochrome, petrochemical and energy sectors have gained and consolidated power over South Africa’s development policy. By the time of the democratic transition, the MEC was at the core of the economy and sectors without strong linkages to the MEC were left underdeveloped. Another consequence of this legacy of extractivism is that South Africa suffers widespread resource depletion across a wide range of key resource sectors, for instance: (a) estimates of coal reserves have been revised downwards to a mere 20% of original estimates; (b) by 2004, 98% of South Africa’s total water resources had already been allocated; (c) degradation of soil fertility is confirmed on 41% of cultivated land. Despite the increasing urgency of tackling the global ecological crisis, the South African government remains unable to break away from the unsustainable path demanded by the dominant MEC. While the country has made a number of basically sound policy commitments on paper to address climate change and reduce the carbon intensity of the economy, greenhouse gas emissions have increased 25% over the last 10 years. President Zuma’s recent “State of the Nation” address confirmed the extractivist and energy intensive orientation of his government. 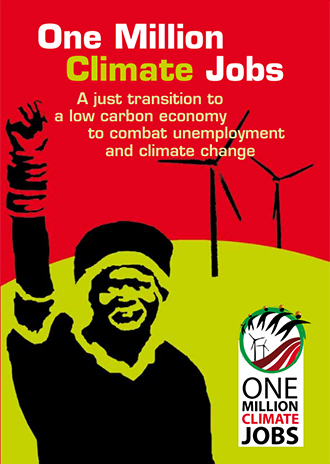 The vision outlined in the speech entrenches current neoliberal macroeconomic policy and reinforces the dominance of South Africa’s mining and energy complex; the attempt to offset impacts of the economic crisis through intensified mining undermines stated commitments to mitigate carbon emissions and create decent jobs. Cheap electricity has been central to South Africa’s industrial expansion strategies throughout its history and was written into the 1928 law that established Eskom as a state-owned power utility. Mining and related industries were built on and became heavily reliant on cheap and abundant electricity with coal as the primary energy source. Over 90 per cent of the electricity generated is from burning coal. South Africa is reported to be the 12th biggest emitter of greenhouse gasses in the world. More disconcerting is that its per capita emissions of CO2 exceeds the world average and is higher than that of China, Brazil and India. Cheap electricity does not just rely on the abundance of coal but also cheap labour, extensive externalities and huge additional historical and current subsidies. Making this situation even worse is the government’s commitment to replace aging coal plants with new coal-based and nuclear generation thereby entrenching and accentuating the centralised, carbon-intensive, capital-intensive and profit-orientated nature of the MEC economy. As with coal, government’s commitment to hydraulic fracturing (“fracking”) is completely misguided. Stories of environmental devastation from fracking operations continue to roll in from around the world. The intense use of scarce water resources represents an environmental and social disaster; at the same time, the promise of “job creation” through fracking remains illusory. The enthusiasm for fracking in South Africa is heavily connected with possibilities for enrichment under the guise of black economic empowerment (BEE). Similarly, the reiterated commitment to nuclear power reflects precisely the wrong approach. As news continues to radiate out of Fukushima about the still-unfolding crisis of the nuclear catastrophe there, we are reminded that the inherent dangers posed by nuclear energy are enormous, and pose massive problems in terms of costs, safety and waste. 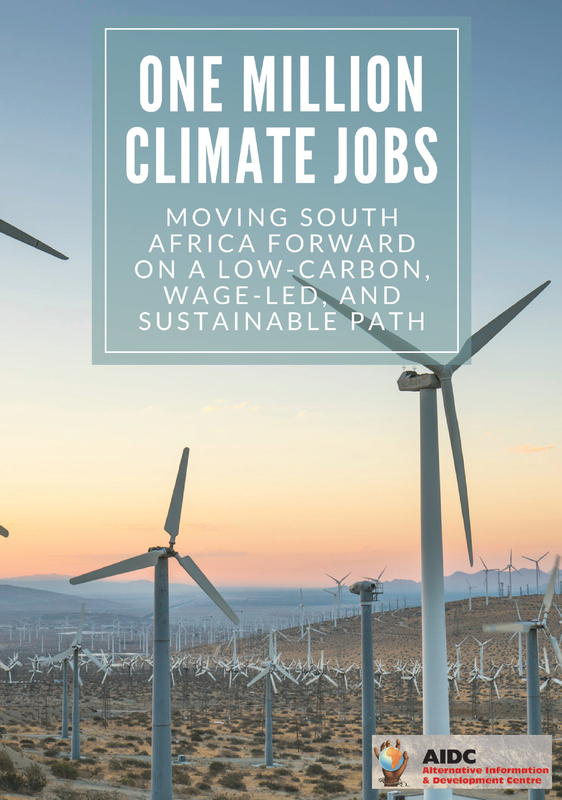 South Africa’s own forays into renewable energy are clearly failing to achieve the wider developmental goals that have been set for them. A new report on the: ”Renewable Energy Independent Power Producers Procurement Programme” (REI4P) by for the Energy Governance Initiative details evidence that local job creation has fallen dramatically short of projections, while projects have been riven by a litany of failures due to the competitive pressures of privatised ownership of what should be social goods: exaggeration of jobs created; use of “labour brokers”; inadequate consultation with affected communities; and exacerbation of community tensions due to lack of transparency and oversight.